The internal dialogue that was raging inside my head at 5:45 Sunday morning was leaning towards me sitting out of the Coppertown Circuit race that day, but for some reason my usual crutch of excuses were failing me. Looking for that extra push of motivation I asked my teammate Case (money-big-time) Fallon what he thought, only to be replied with a throwback picture of Renshaw leading out Cavendish, HTC days, with the caption “let’s do this”, right there I knew what I’d be doing with my Sunday. 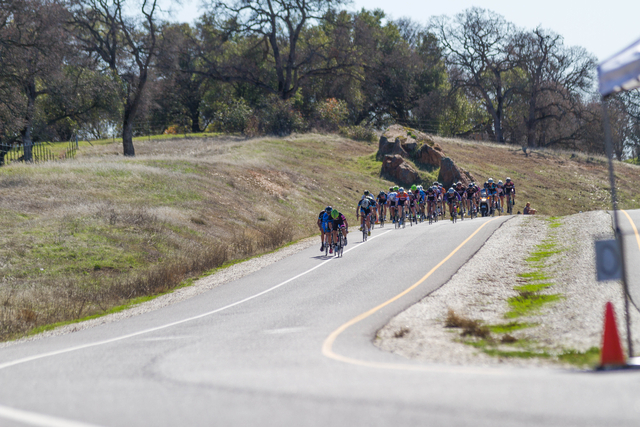 730 saw us rolling down 99 to what was appearing to be a summery day of bike racing in the central valley. As we sped through the methane clouded farms, we bided our time with talk of the previous day’s River Ride pro race, high-tech dating methods (Tinder) and other equally trivial topics, but eventually, as with every pre-race drive, talk of race tactics consumed us. The both of us knew after a year of racing together that these best-laid plans sometimes have a hard time holding their weight during the race, and that our contingency plan, something that everyone on our team as well as others had come to understand as our trademark move often takes precedent: Laser Beams, aka light the field up like the Death Star to Alderaan, and go from there. So when the E3 race lined up, the DDA boys took no time in making their presence known. The rolling course and smooth pavement made it a perfect for breakaways, and for the first half of the race Casey, with Patrick and Curt, were either on the front contributing to pulling back breaks, or starting their own. For the first two of four laps of the 60 minute race I decided my best bet was to stay put in the field, and when the chance came, set fire to my matchbook and go for it. This would come in the form of a slight rolling hill exiting the town square. With lightness in my legs, I took a big dig to distance myself from the field, slingshoting off the scattered remnants of a previous break attempt, and settling into a brisk tempo on the false flats. Forcing myself not to look back, I buried my head and turned my legs relentlessly hoping that my burst of energy would not be for waste. Finally after a few minutes, the curving road afforded me an opportunity to look back and see I had a clear separation, with a few members trying to bridge. A few more minuets solo would be rewarded as 3 riders joined me, and we set about taking the race for ourselves with 30 minuets left in the race. We worked together smoothly, going through the start/finish reading the one lap to go sign, with the field out of sight at this point. Our group of four turned to 3, but this boded well for us, as the reduced selection made each of us give our all to contribute to the break, and the efforts of my break mates Robert Terra (Limitless Cylcling) and Brian Scholl (MRI), coupled with the knowledge that the rest of the Data crew were doing a pro job of clogging up the field’s chasing attempts gave me added confidence as to our chances of success. But despite our best efforts, our trio was being perused hotly by a hungry pack, and with the help of some stiff winds, our gap was diminishing. At the 180-turnaround point around 4k from the finish our gap had closed to only about 10 seconds, and the very real fear of being caught at the line began to set in. Every pull was turned up to 11, but still our gap was getting smaller and smaller. At 2k to go the a rider had jumped out of the field and was almost within striking distance of us, with the pack only a few seconds behind. I began to lay everything I had out in the closing kilometers, I wasn’t going to ride for 30 min to get caught at the line. My breakmates still contributed to the effort more than respectfully, but smartly let me turn myself inside out on the front. Cresting the hill, I swear I could almost feel the pack breathing down our backs, I looked back for a brief second to see the field charging at only about 5 seconds back. At this moment I emptied the tanks, and threw everything I had into the last 500 meters, not giving note that I was leading out for the sprint, I just wanted to make it to the line. At around 100 meters with the field within spitting distance, I knew I had to open my sprint, a second longer could be a second too late. “Sprinting” to the line, I pleaded with my legs to carry me to the top of the podium, but inevitably my breakmates charged past me, with Brian smartly clinching 1st and Robert 2nd, both well-deserved results. I rolled in 3rd, just moments ahead of the pack sprint, which included Patrick picking up a savy 3rd in the field. While my teammates decided to show their stellar capabilities and rode the later p123 race, I decided to watch from the sidelines, I was beat. Watching the two man break hold off the field flying at frightening speed for 85 min reassured me of my decision. We decompressed after the race at the local eatery for some deep fried and battered whatever’s, bbq sandwiches that could frighten an aorta into closing at the sight, and of course beer. The post race meal/brew is something of a subtle art, something that if done incorrectly or with the wrong people, can sap the fun out of your day, regardless of the result that you obtained earlier. Luckily for me, I belong to a team with a group of guys who when they are together, are curators and masters of this art, and more specifically, fully embody the essence of what makes bike racing enjoyable. We got a long season about to kick off, and I couldn’t be more excited to spend it with the guys I call my teammates for another season. 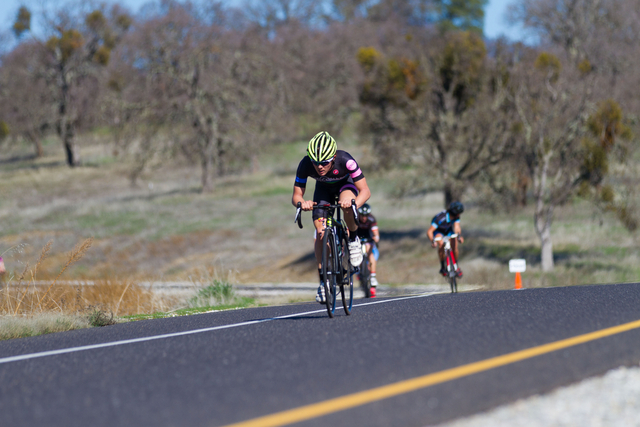 This entry was posted in Andrew Shimizu, Author, Race Reports and tagged Data Driven Athlete Racing, Folsom Bike, Race Rim.